(Rhino) 17 Tracks - Rhino's very rare 'First time on CD'-series. 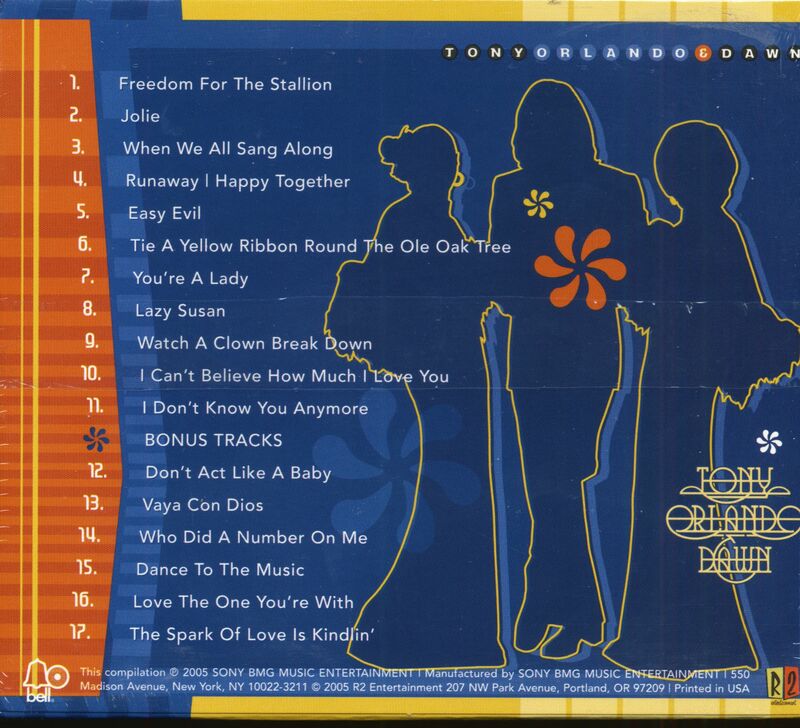 Number 2 presents the reissue of the original 1973 Kory Records album, including the smash hit 'Tie A Yellow Ribbon Round The Ole Oak Tree', plus 6 bonus tracks! Original factory sealed! Tony Orlando, born in New York, on April 3, 1944, first worked as a singer on demonstration discs for Don Kirshner's famous Brill Building music publishing operation. Orlando cut the originals of 'Will You Still Love Me To-morrow' and 'Some Kind Of Wonderful' (hits for the Shirelles and the Drifters) before Kirshner realized his potential as a singer in his own right. He specialized in the perfectly organized pop single and had three hits on Epic during 1961: 'Halfway To Paradise' (a British hit for Billy Fury), 'Bless You' (Top Twenty) and `Happy Times'. As a vocalist, he was one of the first 'blue-eyed soul' singers and the productions — by Kirshner and Al Nevins — were almost symphonic. 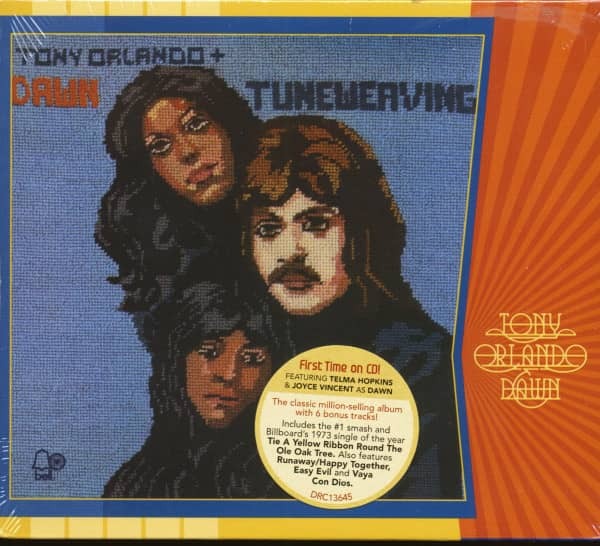 Customer evaluation for "Tuneweaving - Tony Orlando & Dawn Series No.2 (CD)"